Who's the reclusive tycoon behind the successful Zara fashion label? Could other countries learn a thing or two about green energy from Spain's attitude to windfarms? The Guggenheim effect brought visitors flooding to Bilbao. But what other little gems lie behind the city's glittering success? Should you run a mile or look closer? 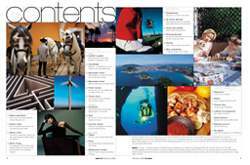 Spain Vol I; issue 1. 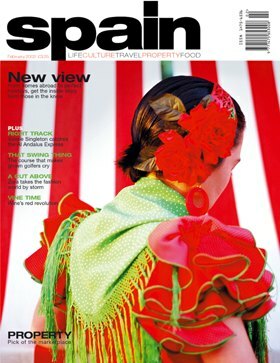 Published monthly by The Media Company Publications Ltd, 21 Royal Circus, Edinburgh EH3 6TL Tel: 0131 226 7766; Fax 0131 225 4567 www.spainmagazine.info UK subscriptions (12 issues incl postage) £39; Europe/USA (overseas surface mail) £59; euro95. Repro by Rayprographics. Printed by ETHeronprint.